Buying your first home is exhilarating, exhausting and life-changing. But excited first-time owners may be surprised to discover a range of extra costs once they've closed the deal. Interior upgrades, real estate fees and new appliances can easily eat into your savings (use this mortgage calculator to determine monthly costs for your new home). 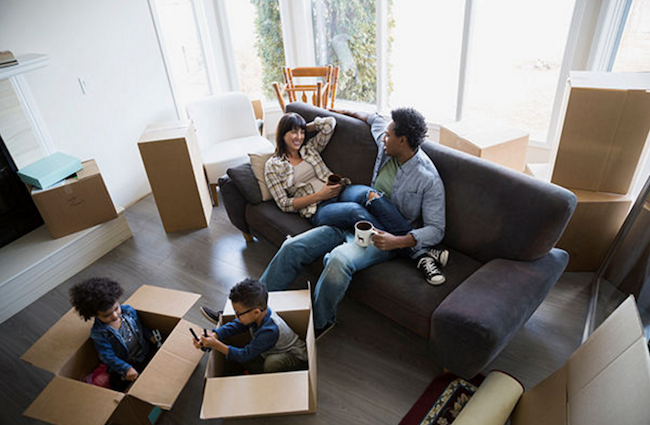 Sometimes, newbie homeowners "find themselves not thinking through all these small extras that can really add up," says Manisha Thakor, director of wealth strategies for Women at the BAM Alliance in St. Louis, Miss. Taxes throughout many municipalities, including in cities such as Chicago, Dallas and Philadelphia, have increased significantly in the last few years. Speak with your real estate agent to understand the property tax bills of similar homes in the area, suggests Thakor. "These [taxes] are not set in stone," she says. "Do your research before buying to see what the history has been of tax hikes in your community, and how stable the municipality's overall finances are - and whether you should budget for regular increases." Some owners may be eligible for the Homestead Credit, a tax benefit that limits the increase in taxable assessments each year to a fixed percentage for moderate- to low-income earners. Homeowners insurance is typically more comprehensive and more expensive than a renters policy, but it's worth it because homeowners take on more liability than renters do, Thakor says. Paying for coverage will protect you from major cost outlays if something goes really wrong. Condo or townhome owners may need to pay into a Homeowners Association master policy as part of their monthly assessment dues, in addition to individual homeowners insurance. For buyers who contribute less than 20% as a mortgage down require private mortgage insurance (PMI). Calculate your PMI here. For apartment dwellers buying their first house, the need to maintain their home's exterior may come as a surprise. Pest maintenance, sealing your driveway and replacing wooden deck floors can run well into the thousands, says Abezgauz. To keep costs manageable, plan any improvements in waves rather than all at once, and hire professionals to handle complicated tasks. "Clients often take on the small outdoor projects as fun and DIY - but they can turn into costly energy-consuming experiences," she warns. As a general rule, projects that take longer than a few hours to complete and require purchasing specialty equipment probably should be left to a pro. No matter if you're purchasing a condo or a single-family home, GEICO can help you get the right kind of insurance coverage for your home.